Escape to your own private getaway of gaming fun. Play games to win sand dollars, shop for things to put on your island, and travel to new islands where you can unlock more games. 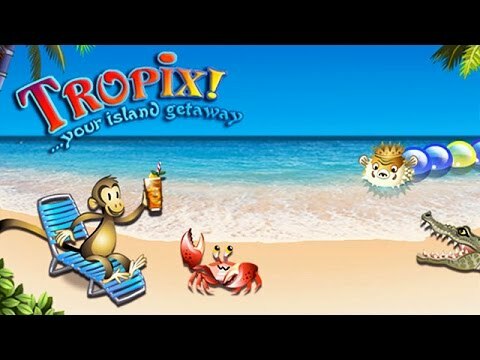 With 11 of your favorite games all in one, there's an island of fun for everyone in Tropix. Between games, you can play on the beach with everything you've purchased from the Tropix Trading Post. Get lost in the fun of Tropix today. I love this game having and been playing for a long time. I like that I can both play and am able to listen to TV at the same time. Tropix has a variety of different games to play and they are all fun. I highly recommend it. I love this game. I like that there are several different mini games to play. I recommend this game to everyone.